Download your free FA Cup comic here! 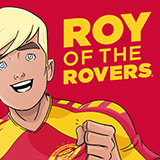 Roy of the Rovers Cup Heroes Special out now! Grab the new Melchester Rovers shirt now!